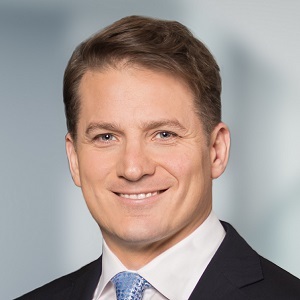 Minto Apartment REIT (MI-UN-T) raised $200 million in its initial public offering (IPO) in July, and chief executive officer Michael Waters outlined why the launch was a success at the RealREIT conference in Toronto. “What set us apart is the quality of our portfolio,” said Waters. “This portfolio of 22 assets had the highest average monthly rents of the peer set, was all in urban locations with no secondary or tertiary markets, and had very high Walk Scores. Waters was speaking during the panel discussion titled “Mergers and Acquisitions, IPOs and New Fund Acquisitions: What’s Happened and What May Lie Ahead” at the Metro Toronto Convention Centre on Sept. 6. Waters said Ottawa-based Minto Group was financed by its own balance sheet for its first 55 years before it started working with institutional investors at the dawn of this decade. It elected to launch the REIT on the public market as a means of accessing more capital for future growth. Northview Apartment REIT (NVU-UN-T) was created via a different process. It came about in 2015 following a transaction which brought together Northern Property REIT, True North Apartment REIT and a number of privately held residential properties. While Northview president and CEO Todd Cook said there wasn’t nearly as much enthusiasm for its launch as there was for Minto, Northview’s strategy to diversify and not be as heavily weighted in Western Canada has paid off. Cook was previously president and chief operating officer of Northern Property REIT, which he said traded like an energy stock. For years, he explained, Northern had a 90 per cent-plus price correlation to the value of oil. When the price of oil started dropping, trouble loomed. “The way to protect yourself from that is through diversification,” said Cook. “We had been doing that for a number of years by going into places like Regina, Abbotsford and Nanaimo. “Diversification is a tough thing to do one building at a time. You can do it, it just takes a couple of decades. Hence the True North transaction which, in a nutshell, gave us 14,000 units and a big presence in Ontario, Montreal and on the East Coast. Ontario now accounts for about one-third of Northview’s net operating income while Western Canada is down to 24 per cent, Cook said. Northview is now focused on a value-add strategy which involves renovating existing apartment buildings. Cook said the REIT can realize a 24 per cent return on a $17,000-per-door investment to upgrade buildings to condominium quality. That has a shelf life unless you’re adding new product, however, so Northview is also concentrating on developing new buildings.